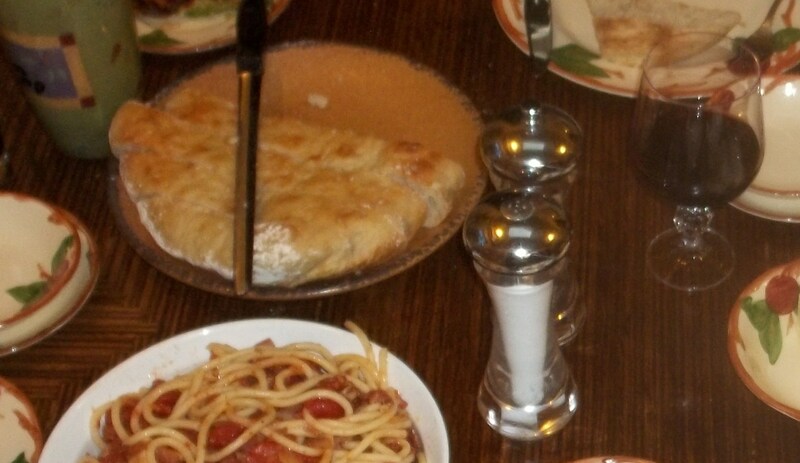 Ciabatta is the Italian word for a comfortable old shoe or slipper. Sound appetizing? 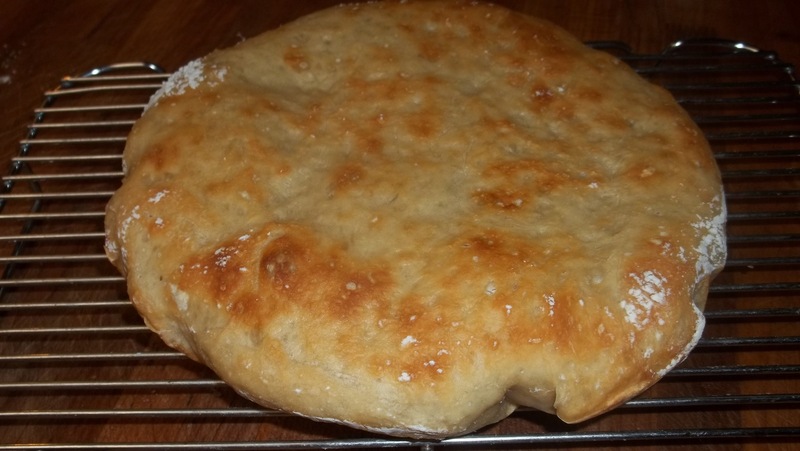 It’s also the word for this comfortable, easy Italian bread. It’s a very light loaf which is crusty on the outside, and chewy on the inside. It’s very porous, with all those nooks and crannies we always heard about from the English muffin folk. Ciabatta – to be honest, sometimes the brown misshapen loaves do look like old slippers. It comes by its name honestly. There are a lot of steps, but this is really one of the easiest breads I have ever made, and undeniably one of the most delicious. 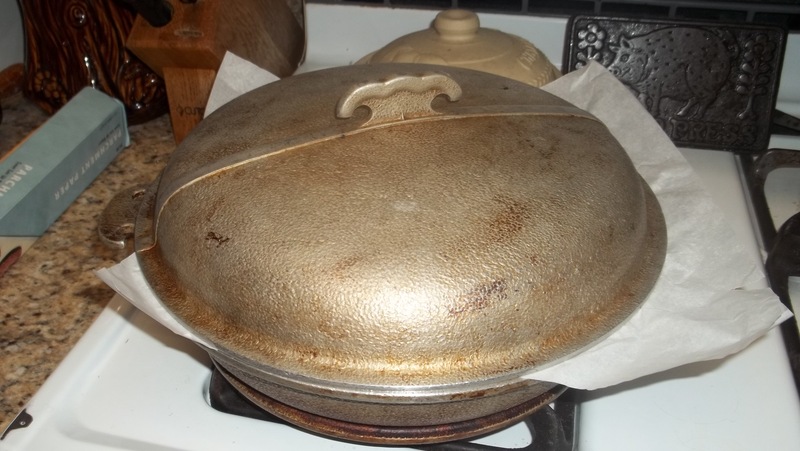 A Dutch oven or heavy covered casserole dish. 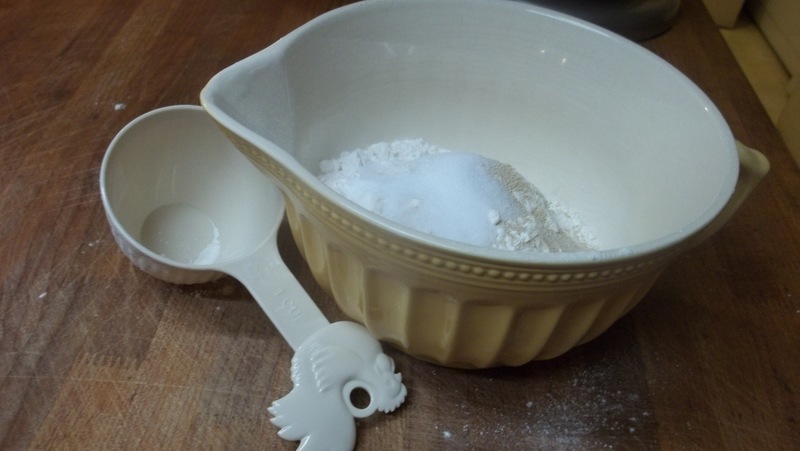 Mix all the ingredients together in a big mixing bowl. You may need to add a few more tablespoons of water. You should have thick, but stirrable batter. The batter will have doubled in size. 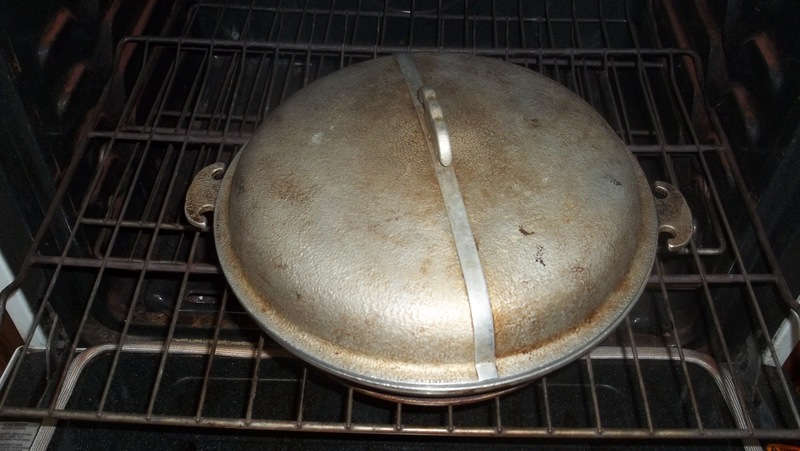 Place your covered Dutch oven in the oven at 450° for 30 minutes. Set a timer. 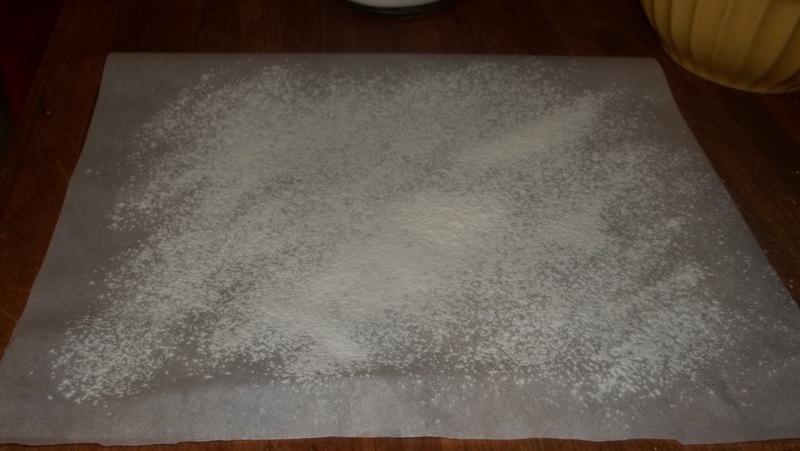 Place a piece of parchment paper on your counter and lightly sprinkle it with flour. Carefully scrape the batter onto the parchment paper. 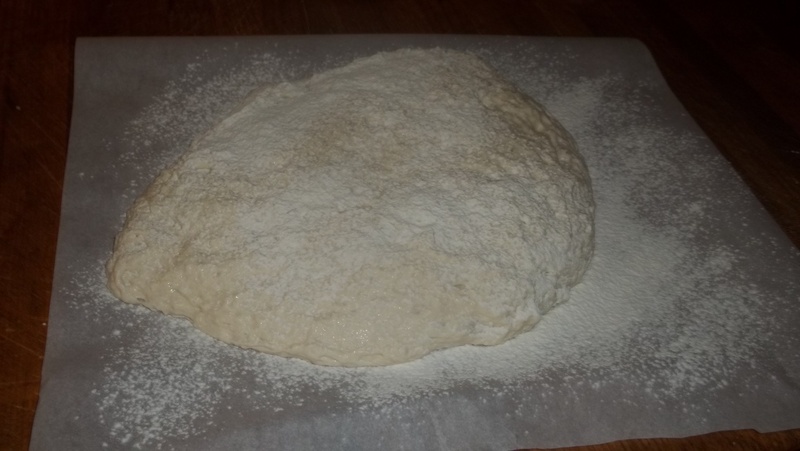 Sprinkle the top of batter with flour, and cover it lightly with the plastic wrap. In half an hour when the timer dings and the Dutch oven is hot, take it out of the oven and carefully remove the lid. 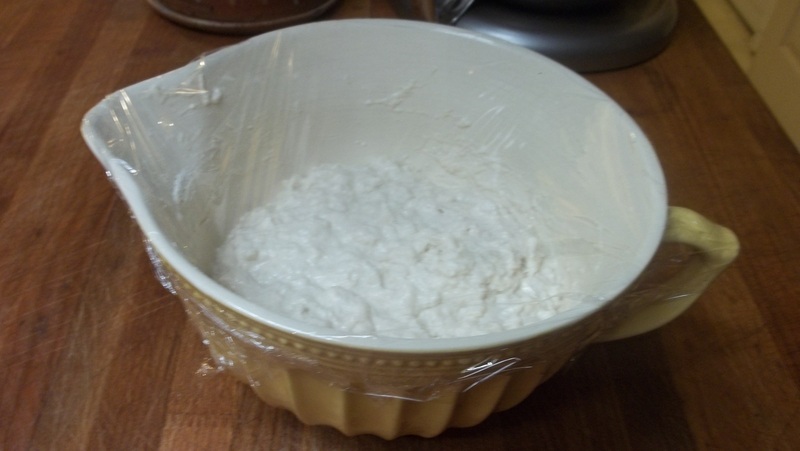 Lift the plastic wrap from the bread batter. 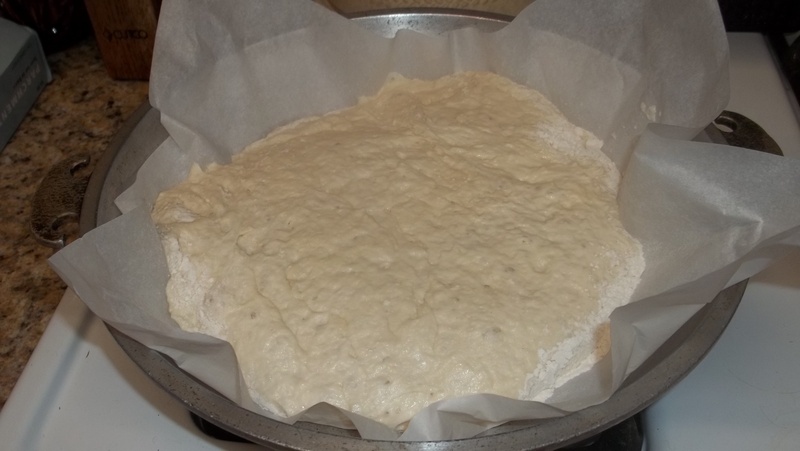 Pick up the parchment paper by the four corners, so the batter is carried in it like a little pouch. Place it in the hot Dutch oven. 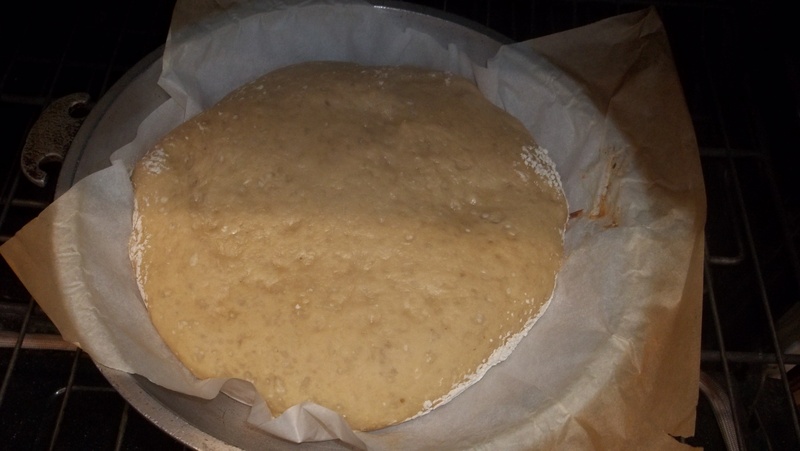 Place the HOT lid back on the Dutch oven and straighten out the edges of the parchment paper so there are no big creases inside. Return the Dutch oven to the oven, still at 450° and bake for 30 minutes. (Set the timer). Take the lid off and bake uncovered for 15 more minutes. 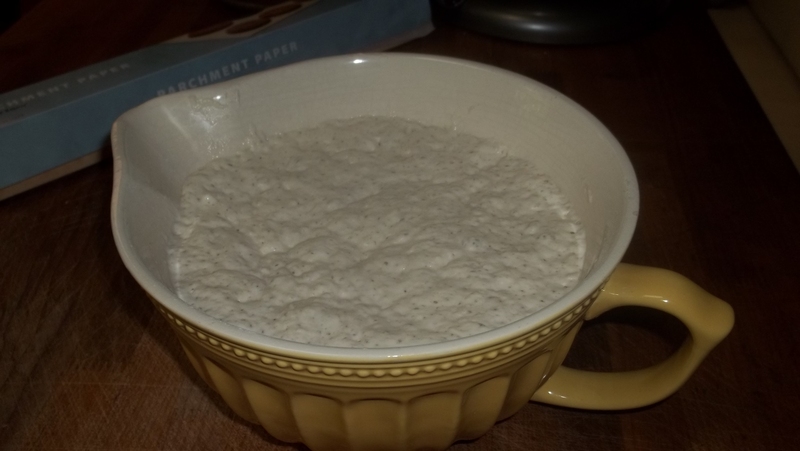 Lift the loaf out of the Dutch oven by the corners of the parchment paper, and let it cool on a rack or serve it hot. 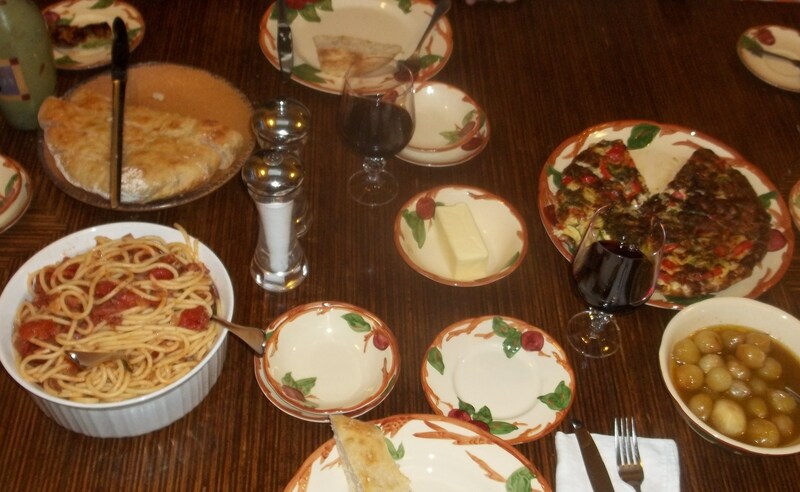 Either way it will be one of the stars of your wonderful Italian meal!